REMINDER: If the new benefits described in this post don’t seem worth it to you, apply for the Platinum card of your choice before March 30, 2017–Thursday of this week–and you will be grandfathered in to the $450 annual fee card. You’ll get the new extra benefits and pay nothing for them for a year. Keep the card for at least a year to see if the total benefits package is indeed worth $550, and if not cancel or downgrade before the $550 annual fee is charged in 2018. Applicants March 30, 2017 and onwards will incur the higher annual fee. As for existing cardholders, if your annual fee is due before August 31, 2017, you’ll be charged the same $450 annual fee (and get all these benefits for free for another year!) If your annual fee is due September 1, 2017, or later, you’ll be charged $550. Read How to Get the Most out of Your American Express Platinum Card to go over the benefits the card already comes with. Note that these enhanced benefits and pricier annual fee will apply to the co-branded versions of the American Express Platinum as well. By co-branded I mean the different versions of the Platinum, like the Platinum Card from American Express Exclusively for Mercedes-Benz which remains on our Top 10 Travel Credit Cards List as it consistently has a higher sign up bonus than the normal Amex Platinum’s public offer. The Mercedes Platinum comes with 50k Membership Rewards for spending $3,000 within three months of opening the card while the regular Platinum comes with 40k for the same minimum spending requirement. You’ll get $200 in Uber credits annually ($15 a month and $35 in December). What’s nice is that you don’t actually have to pay for Uber with your Platinum card. You just need to link your Platinum account with your Uber account and the rest of the reimbursement process will happen automatically. Credits won’t roll over–that is to say if you don’t use Uber at all in May, for example, you won’t start off the month of June with $30 credit, only $15. Credits are only applied to rides within the United States. This new annual credit is in addition to the already existing $200 annual travel credit that applies to your chosen qualifying airline. If you are a regular Uber customer, this new benefit will probably be the most valuable out of all the new perks and more than make up for the increase in the annual fee. I live in a big city with no car, so I know I could easily make all $200 back each year. The Sapphire Reserve offers a $300 annual travel credit as opposed to the $400 a year total you’ll earn from the Platinum card, but the expenses that qualify are a part of a much broader category of travel expenses than just one specific airline or rideshare service. You’ll get reimbursed for airfare, flight award taxes and fees, airline fees, hotels, Airbnb, car rentals, cruises, tolls/E-Z Pass, parking, Uber/Lyft, taxis, and more. The Citi Prestige offers $250 in annual travel credit, but again (like the Sapphire Reserve), the travel expense category is broad. 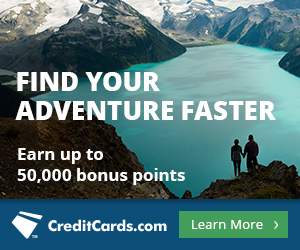 Amex added a 5x category bonus on airfare booked directly with an airline or through amextravel.com back in October of last year. Now you can earn the same rate of 5 Membership Rewards per dollar spent on hotels, but only those booked on amextravel.com and only prepaid rates qualify. This a big perk, but the downside of booking through amextravel.com is that you forego earning hotel rewards you would otherwise earn booking directly with the hotel. The Citi Prestige and Chase Sapphire Reserve earn just 3x on hotel bookings, however you’re not limited to their travel portals. Any hotel booking will earn the bonus, and you’ll also earn hotel rewards if you’re not booking through a third party site (i.e. the bank’s travel portal). When visiting a Priority Pass Lounge, two guests will be allowed free entry along with the primary cardholder each visit. Any guests beyond that will cost $27 each. The Chase Sapphire Reserve grants you and all travel companions access to Priority Pass Lounges. The Citi Prestige’s Priority Pass grants you the same rights as the Amex Platinum–two free guests along with the primary cardholder. It’s worth noting though that the Amex Platinum also grants access to Centurion Lounges, by far the nicest lounges in the United States, which the other two premium cards do not. The Points Guy says the new Amex Platinum is heavier than the Chase Sapphire Reserve card but lighter than the Ritz-Carlton Rewards Credit Card. Existing cardholders can request the snazzier version of the card March 30 (or else one will be sent to you automatically within 60 days of your cards’ expiration date). The Sapphire Reserve card is also made of metal. The Citi Prestige is plastic. 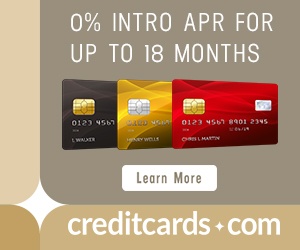 For no cost, Amex Platinum cardholders will be able to add up to five Gold card accounts to their account. Gold card members will earn 5x on airfare and hotels and also have access to Global Entry or TSA PreCheck credits, but none of the other Platinum benefits. All Membership Rewards earned by Gold Card members will be credited to the primary cardholder’s Membership Rewards account. The annual fee on the Amex Business Platinum card is not increasing–it will remain $450 a year. These changes will also be implemented March 30 of this year. For a $100 price hike on the annual fee, the Amex Platinum card is rolling out new benefits to compete with the likes of the Chase Sapphire Reserve and Citi Prestige. For $550 a year, you’ll maintain all the benefits of the current Amex Platinum, as well as earn $200 a year in Uber credit, 5x Membership Reward points on hotel stays booked on amextravel.com, and get two free guests every time you visit a Priority Pass Lounge among other minor changes. I don’t think 5x points on hotel bookings is a major improvement since reservations must be made through Amex’s travel portal. To me it’s pretty clear who is going to be happy with these changes and who won’t be, and it all comes down to whether or not you are an avid Uber customer. If you don’t charge at least $200 in Uber to your card per year, then perhaps the Amex Business Platinum is a better choice for you. The Citi Prestige and Chase Sapphire Reserve both charge $450 per year for similar hosts of benefits. I would not be surprised if Citi and Chase follow suit eventually to also increase their annual fees to $550. Do you think the new perks are worth the price hike? Next articleShould You Buy American Airlines Miles for 1.8 Cents Each? All my cards are fee free so the additional benefits are gravy even if they aren’t spectacular. I think the Business Platinum with the 50% MR miles rebate 10 Gogo inflight coupons is the better deal.